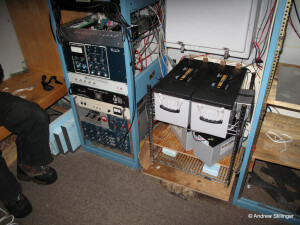 Once the planning and preparation are complete, getting to an Automatic Geophysical Observatory (AGO) site can seem like a project in itself. Every year Andy, Bob and the rest of the team are required to pass a complete physical, update their dental records (in case body identification is required), and complete emergency and survival training. 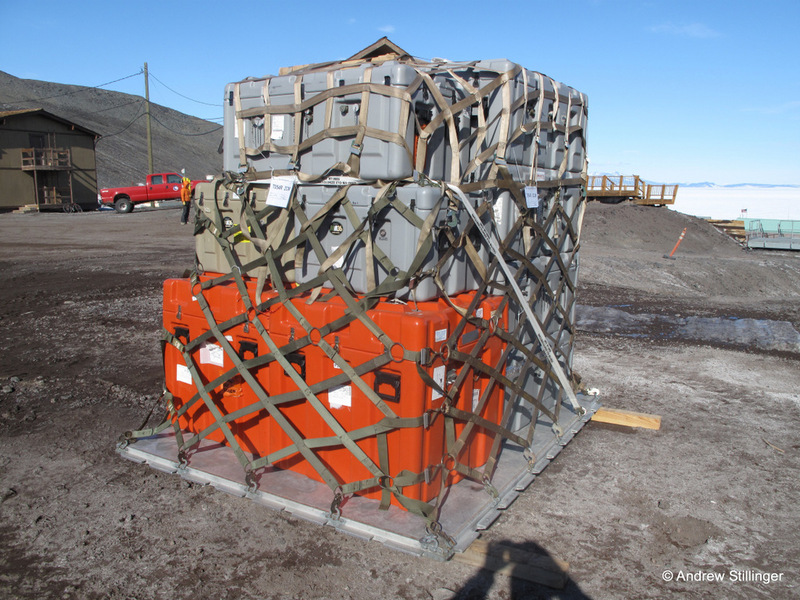 The team have to pack delicate equipment and all the supplies they think they could possibly need, along with their luggage, for shipping via commercial and military transport. The travel itself requires at least 3 legs. 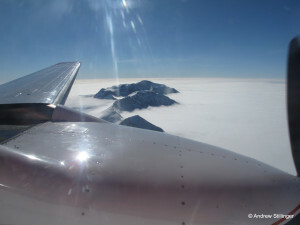 After a commercial flight to Christchurch, New Zealand, Andy, Bob and any others on that year’s field team fly to McMurdo Station located by the Ross Ice Shelf on the coast of Antarctica. 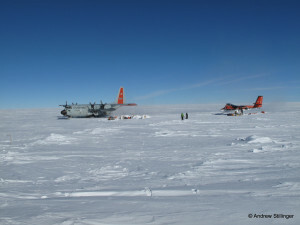 McMurdo is a permanent US research facility, the largest inhabited center in Antarctica, hosting about 1200 people year-round. 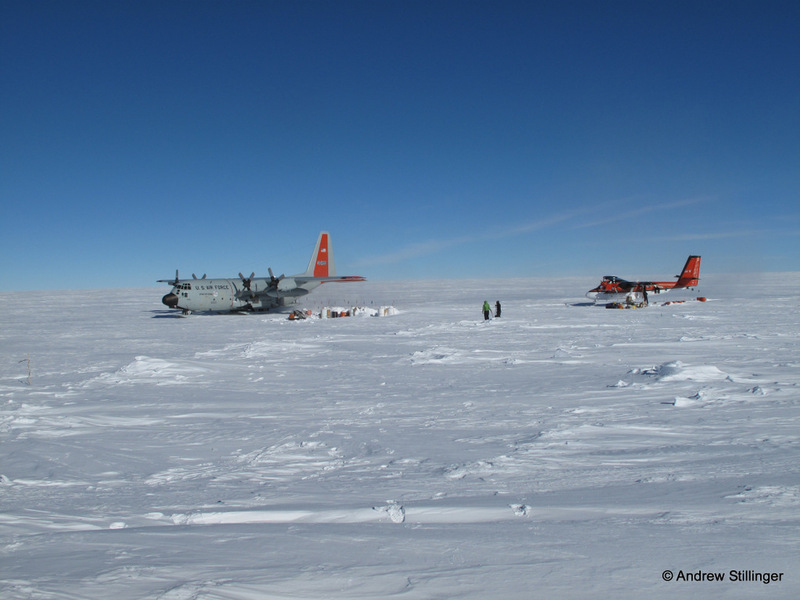 From there, the field team and their cargo typically take the next available military cargo flight to South Pole Station, a much smaller permanently-staffed research facility at the geographic South Pole. At the height of the Antarctic summer there may be as many as 200 people residing there. The facility resembles a college dormitory including a cafeteria, lounges, weight room and basketball court. Hiking, running and even fat-tire biking are popular activities during the height of the season when the temperature reaches a toasty -5º or so. 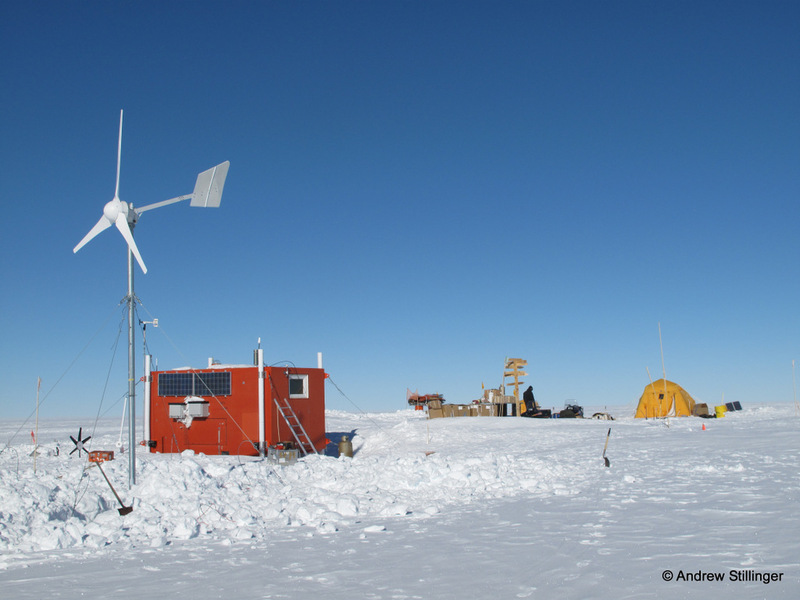 Unsurprisingly, many of the researchers who spend time at South Pole Station are outdoor- or adventure-sports enthusiasts. Each AGO sensing station consists of a bright orange physical shelter about the size and weight of an RV, containing computing, sensing, power and communications equipment. The shelter also contains a very small bunk and stove for melting water and heating food, to enable the field team to camp there briefly. 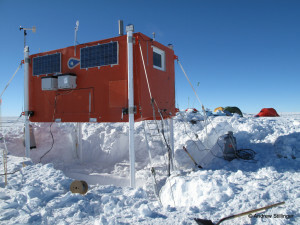 (Visitors must set up a field latrine however, outside in a separate tent known as a “Scott Tent.”) The shelter stands on the snow on four white tubular metal legs with wooden feet. 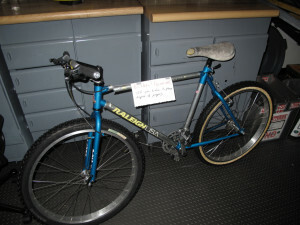 The legs are secured with metal guy cables. 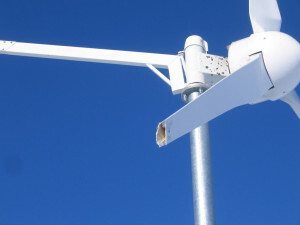 Outside the shelter is a wind turbine that supplies power during the 6-month dark season, or when the weather is cloudy, along with a variety of other sensing turbines, antennas, and so forth for data collection. 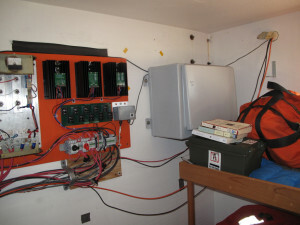 Solar panels on an outside wall of the shelter provide power when the sun is shining. 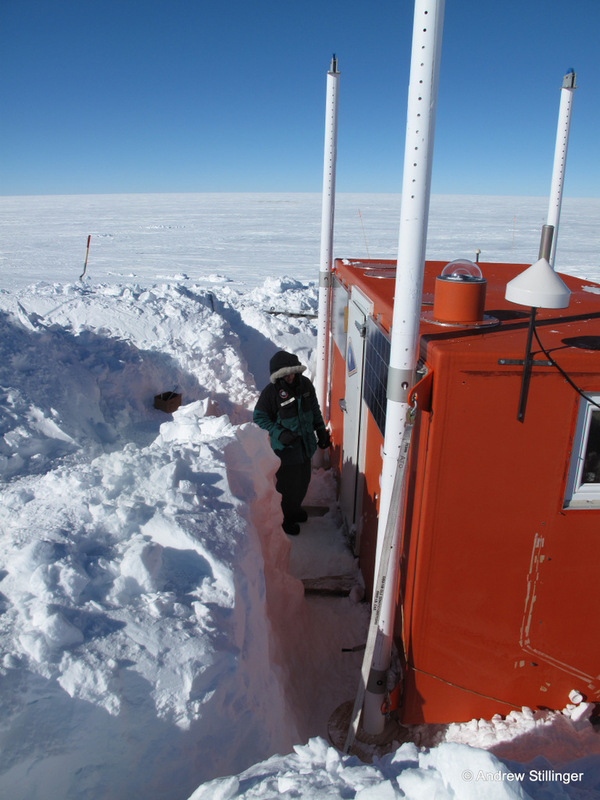 When the field team first arrives at an AGO, typically they find the shelter and outside equipment half-buried (or more) in snow. 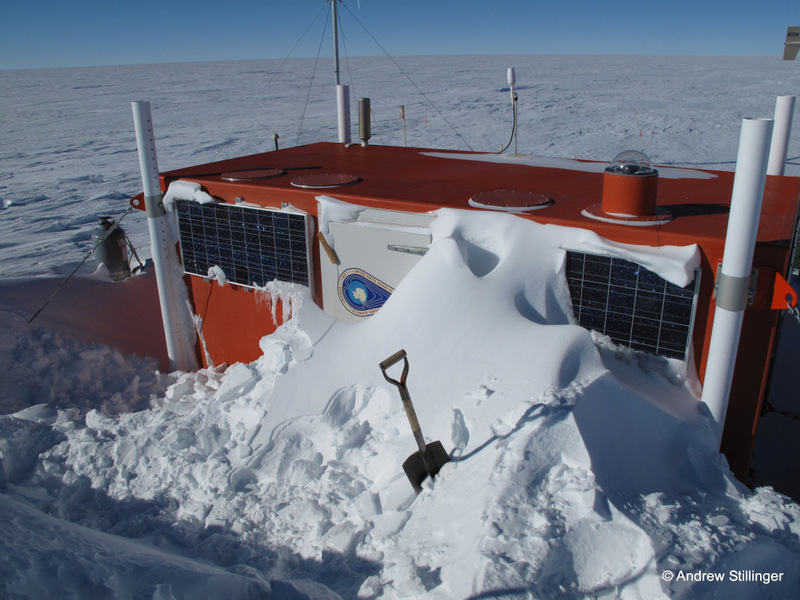 The biggest physical task, and the riskiest one that is in their control, is digging out and raising the shelter. 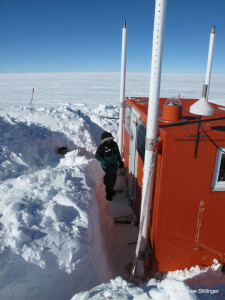 The team shovels snow off the shelter and digs a trench around it. 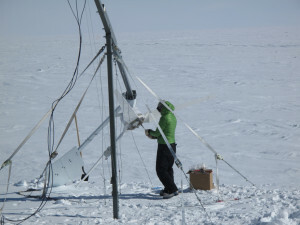 They then carefully winch up all four corners in a slow, multistep process to a total height of as much as 6 feet while the guy cables are repeatedly repositioned and re-tensioned The winching and guying activity is especially risky, for if a 5500-pound shelter 6 feet in the air were to tip over while someone is in the trench operating a winch, that person has no place to go. 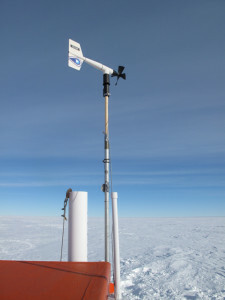 So taking measures to prevent the shelter from tipping and avoiding mistakes is critical – a fallen shelter poses a major risk not only to the project from the possibility of losing a shelter full of sensing equipment, but more importantly to life and limb thousands of miles from medical help. 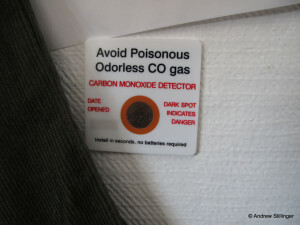 The team takes several measures to minimize these risks. First and foremost the field team requires one member to rotate in who is trained and experienced in EMT procedures in case a mishap actually occurs. (Fortunately no serious accidents have occurred.) After the first few years they learned to take measures to reduce fatigue and cold exposure so that when they are outside physically raising the shelter or performing other physical activities they can do so while alert and unhurried. For example, they now include as part of their plan time to make cable eyelets inside the shelter where it is relatively warm instead of directly fashioning and clamping eyelets outside in the cold and wind. 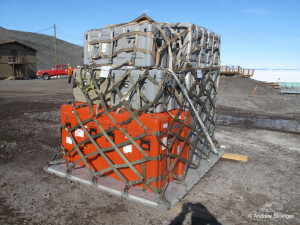 Consequently as part of their packing and preparation they now include crimpers, ferrules and lengths of cable to enable this activity. 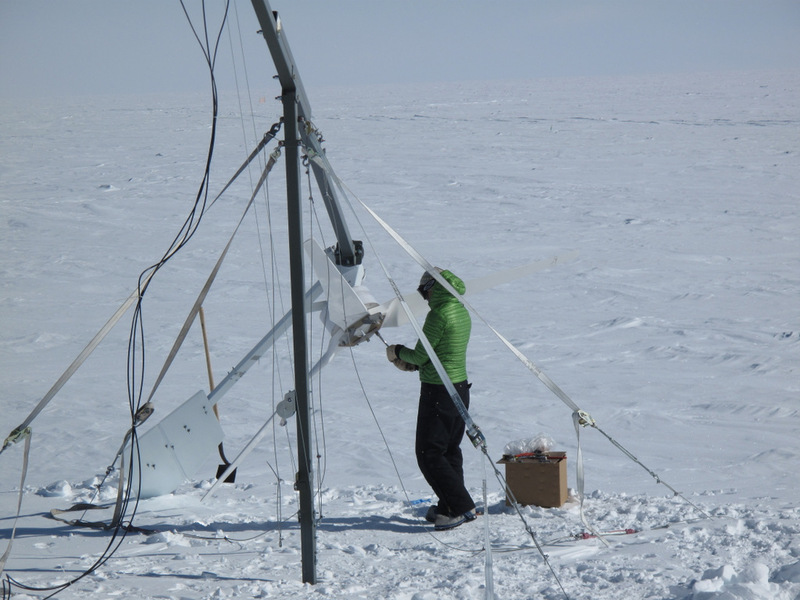 With this little bit of additional planning and packing they can save several hours of work in -20° to -40° windy weather at each site, reducing fatigue and discomfort and improving focus on raising the shelter methodically. 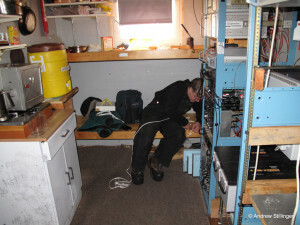 Within the shelter, Andy and Bob fix and upgrade electrical and power equipment with circuitry that they have planned and designed over the previous year. 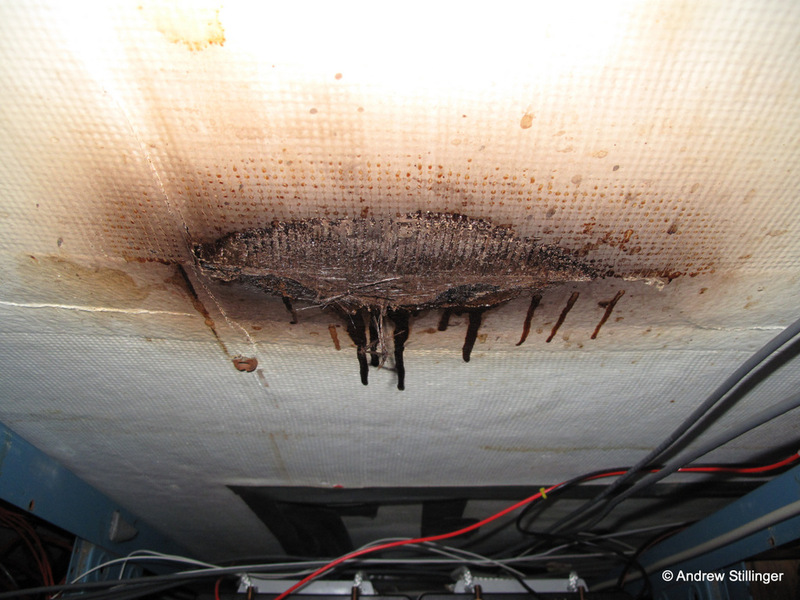 as well as assess the health of the rest and perform on-the-spot repairs. 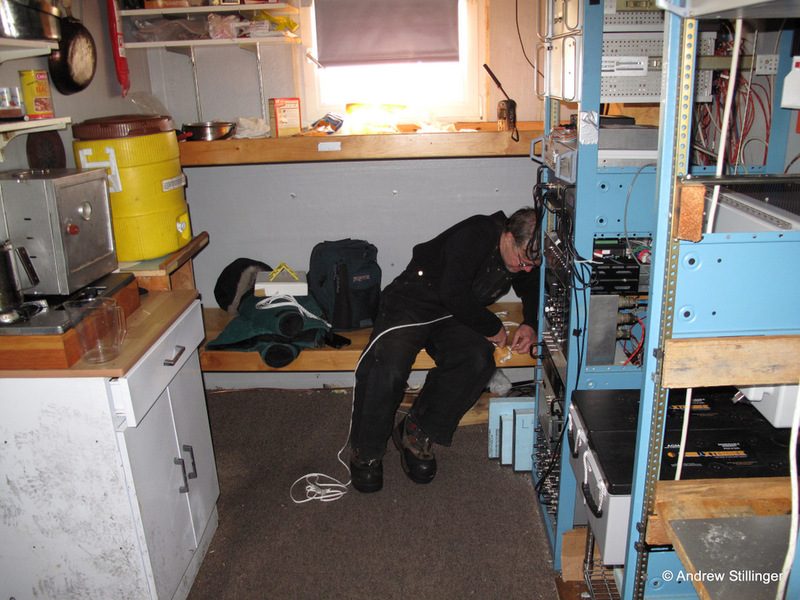 Upgrading, and ad-hoc repair, to the systems have become easier as Andy and Bob have returned to the AGOs over several seasons, becoming more familiar with the equipment and so making them better able to prepare for contingencies and better plan the parts and tools they might need. 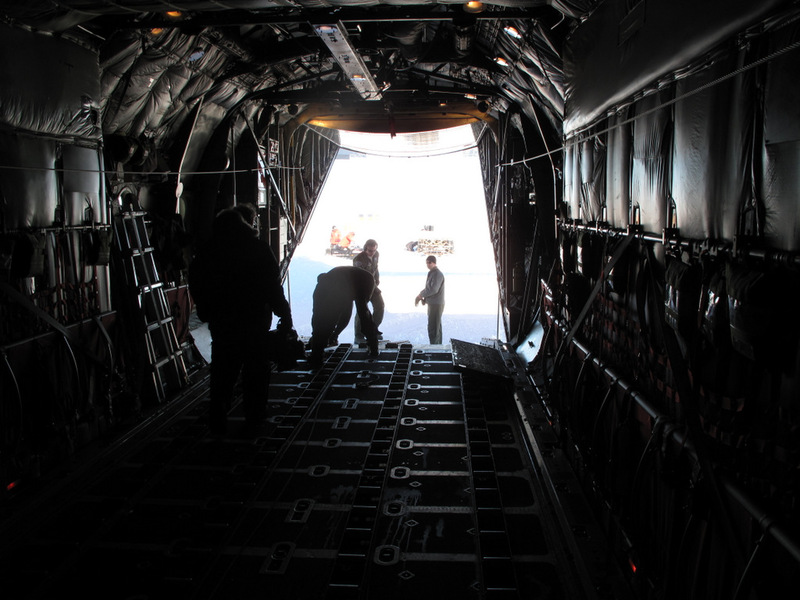 They have also consciously set out to standardize (and document) the equipment, parts and materials they use, which has made it even easier to equip for missions, even for unknown contingencies. He observed this failure mode across the turbines at all the AGOs they visited that year. In addition, “they all had a tell-tale chocolate-pudding-looking schmutz around the upwind bearings,” which Andy recognized from other mechanical experience as a symptom of moisture getting mixed into the lubricant. 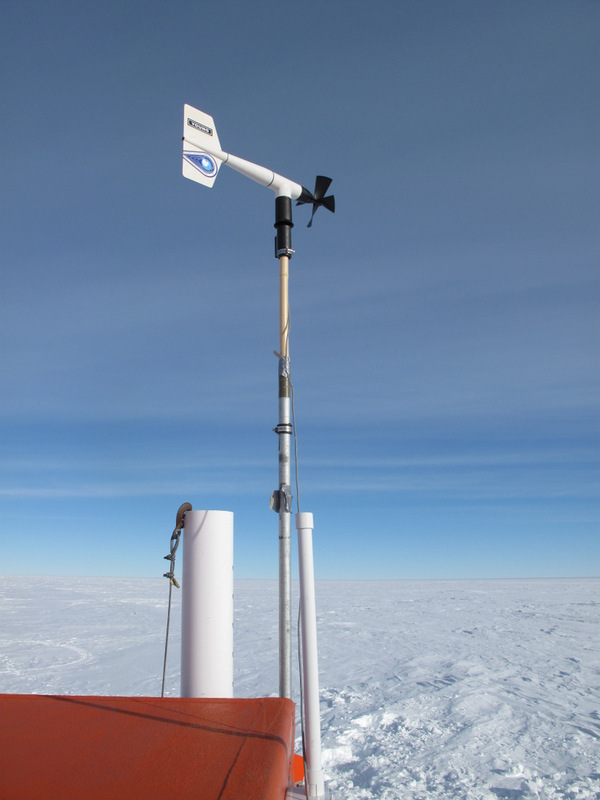 The only source of moisture could be the constant, fine blow of ice crystals in the Polar air. 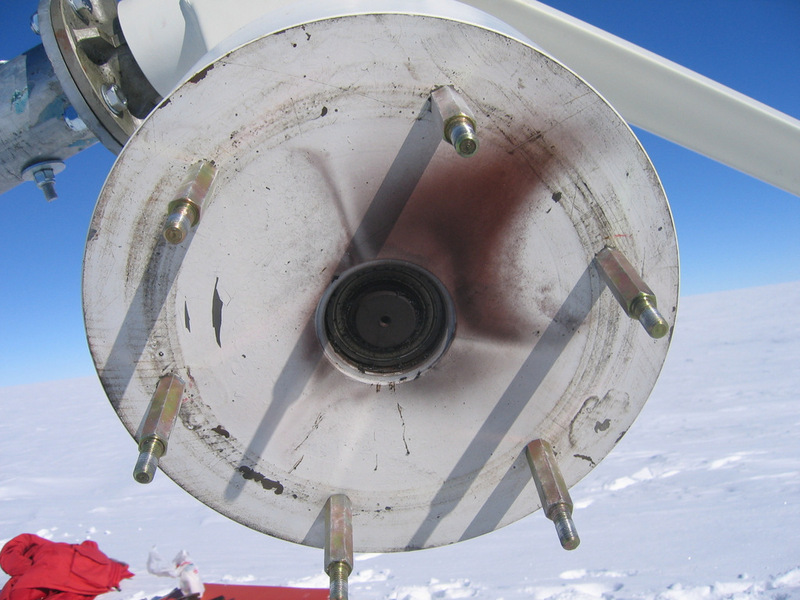 (The original builders had apparently not anticipated that the very dry, high-altitude atmosphere could be a source of moisture, so had not tightly sealed the turbine bearings.) Not having appropriate parts or tools at hand to fabricate seals, and having limited time with a pilot standing by impatiently waiting to depart before bad weather set in, Andy cleaned out the bearing and lubricated it with whatever was at hand, “probably snowmobile oil,” and then created a bearing cap with foam packing material and duct tape. One year later, after 365 days of constant spinning, that particular turbine showed no further signs of degradation. with inadequate materials in the cold and in a hurry. Cold, fatigue, and time pressure can lead to mistakes. On at least one occasion, after a long day working in the cold during a one-day “touchdown,” the team made a “suboptimal circuit repair decision” that couldn’t be corrected until the following year. On one of their more ordinary projects back home, they could have revisited and fixed the mistake in a couple of hours. Andy uses these experiences to explain why they spend a such a large proportion of time planning, designing, and preparing for their missions in comparison to the time spent on site. They are working to minimize improvisation, decision-making and risky activities under fatigue. Images copyright © 2009-2013. Used by permission. The images may not be reproduced, copied, transmitted or manipulated without written permission.